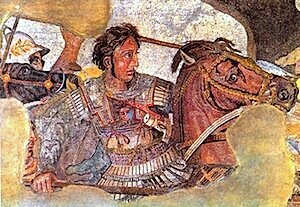 331 B.C., Alexander the Great defeated Darius III of Persia at the battle of Gaugamela. 1800, Spain ceded the territory of Louisiana to France. 1880, John P. Sousa became leader of the U.S. Marine Corps Band. 1187, Saladin’s siege of Jerusalem ends recapturing the city from Crusaders. 1835, the Staedtler Company is founded in Nuremberg, Germany. Staedtler is a producer of writing instruments, drafting and artist supplies. The Staedtler family had already been making pencils for generations, dating back into the 1660’s. Staedtler celebrated its 175th anniversary in 2010 and is still making pens today. 1955, Having lost seven previous attempts, the Brooklyn Dodgers won their first and last World Series. 1947, President Truman makes first TV address. 1763, British King George III issued the Royal Proclamation of 1763 declaring all lands north and west of the Alleghenies off-limits to settlement for the colonists. 1492, Christopher Columbus landed on the islands of the Bahamas, believing he had reached eastern Asia. 1954, Cecil B. DeMille’s “The Ten Commandments” began filming on location in Egypt with a cast of 25,000 people. 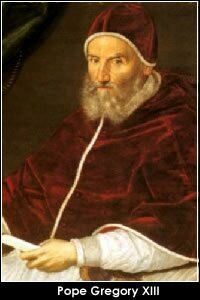 1582, Pope Gregory XIII implemented the Gregorian calendar. 1773, Pennsylvania Gazette publishes the first article denouncing Britain’s unfair tea tax, leading up to the Boston Tea Party two months later. 1933, Albert Einstein fled from Nazi Germany to the U.S.
1765, the American colonies Stamp Act Congress passed the Declaration of Rights and Grievances in response to the British imposed Stamp Act. 1781, British General Cornwallis surrenders to Washington at Yorktown, Virginia, ending the Revolutionary War. 1944, General Douglas MacArthur returned to the Philippines, fulfilling his promise to return when he was forced to leave by presidential order in 1942. 1760, in Britain, King George III succeeded his grandfather, King George II, as ruler of the British empire. 1881, the shootout at the OK corral occurred in Tombstone, Arizona. 312, Constantine the Great was said to have had his vision of the conquering cross on this day. The next day, he met the Roman Emperor Maxentius and defeated him. 1682, the city of Philadelphia, (Pennsylvania) was founded. 1795, the United States and Spain signed the Treaty of Madrid establishing navigation rights on the Mississippi River and the boundaries between the U.S. and the Spanish-American territories. 306, Maxentius was proclaimed the Roman Emperor, but six years later, he is defeated by Constantine I at the battle of Milvian Bridge. 1775, the British impose a proclamation forcing all citizens of Boston to confinement within the city. 1886, President Cleveland dedicated the Statue of Liberty followed by the first ever ticker tape parade in New York City. 1939, drilling ceased on the creation of the Mount Rushmore memorial. The original design was to include the Presidents’ likeness from head to waist, but lack of funding curtailed the work and only head busts were carved.